The Pixel 3, announced at Google's “Made by Google” event, is the tech giants new flagship device, slated to launched on 1 November. In its announcement, Google made several jabs at the iPhone Xs from camera capabilities to even to how long its announcement keynote was — it was clear the Google is inviting comparisons between the devices. But which smartphone is better? And should you buy “the best smartphone” or simply one that works best for you? To help decide if you should buy the Google Pixel 3 or Apple's iPhone Xs, we break down both devices to work out which is best for you. You'll $1629 need to pony up for a 64GB iPhone XS. An iPhone XS with 256GB or 512GB storage will cost you $1879 or $2199 respectively. The Pixel 3's price comes in significantly lower at $1199 for the same 64GB storage space. A 128GB device goes for $1349, although there's a notable lack of a 256GB or 512GB device. However, in an age of cloud storage, larger devices aren't as important as they were and every Pixel 3 owner gets unlimited, uncompressed Google Photos storage for free. The iPhone Xs is, basically almost identical to its predecessor the iPhone X in appearance, but this isn't necessarily a bad thing. It's a sleek device with an edge-to-edge display covering the entirety of its 5.8-inch face with a True-Tone 2346 x 1125-pixel OLED display. 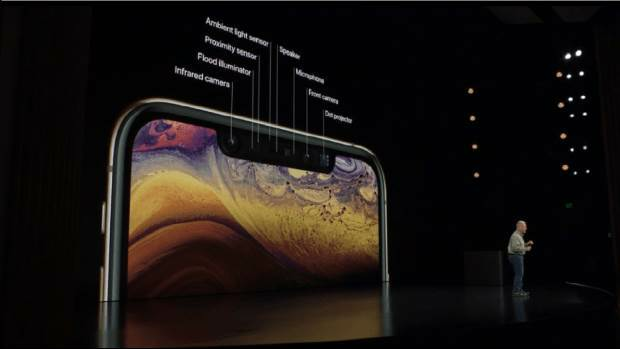 On top of that, the iPhone Xs made from “surgical-grade” stainless steel, has IP68 water and dust resistant, and can survive in up to two metres of water for half an hour. It comes in three colours: gold, silver and space grey. The Pixel 3 looks very similar to the Pixel 2, which again was a nice looking device, but the Pixel devices have never matched the sleek beauty of the newer iPhones. The two-tone gloss and matte finish all-glass back look great, but you don't spend much time staring at the back of your phone. Like the iPhone Xs, and the previous Pixel devices, it comes with IP68 resistance, and comes in three colours — 'Just Black', 'Clearly White' and 'Not Pink'. At 5.5 inches and with a 2160 x 1080 Full HD+ flexible OLED display, the Pixel 3 is slightly smaller than the iPhone Xs. On top of that the device still doesn't have edge-to-edge technology. However its bigger sibling, the Pixel 3 XL, does, and in addition it doesn't have a notch which can be a deciding factor for many people. 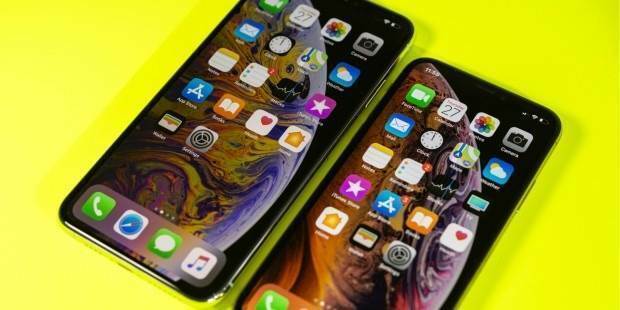 The iPhone Xs offers “all-day battery life” which, according to Apple, means that as long as you charge it every night, you should have no trouble using its features all day. Our review basically backed up those claims as we found it ran for over 14 hours on a single charge in our benchmarking process, which is certainly more battery life than you'd ever need. While the Pixel 3 boasts fast-charging and wireless charging (something the iPhone Xs is also capable of) its battery life may not last as long. Google states that it'll last for around 11 hours on a charge — a sufficient amount of time, although it could be that in our tests it runs for much longer. However, when most people use their phone constantly throughout the day, you may find yourself running out of battery by the evening. We can't properly tell until we get a chance to review the Pixel 3 and properly test out its battery. The iPhone Xs comes preloaded with iOS 12, which has a whole host of new useful features. These include Screen Time monitors to track which apps you use and for how long, Group FaceTime for up to 32 people, and several different Augmented Reality apps. Head to our iOS 12 page for a rundown of the full list of the features. AR is also a big part of the device, with Apple dubbing it the “best AR platform in the world”. The phone's camera sensor, Neural Engine, gyroscope and more all work hand-in-hand to make its AR apps incredible experiences. The Pixel 3 comes with its equivalent operating system, Android 9 Pie. Machine learning is a big part of this — Adaptive Battery recognises your most-used apps to ration battery power accordingly, specific gestures will help you navigate the device quicker, and a well-being dashboard tells you how long you've spent on certain activities. In Google's devices announcement, it emphasised how machine learning would be used in new and upcoming features on all of its products to streamline device usage. 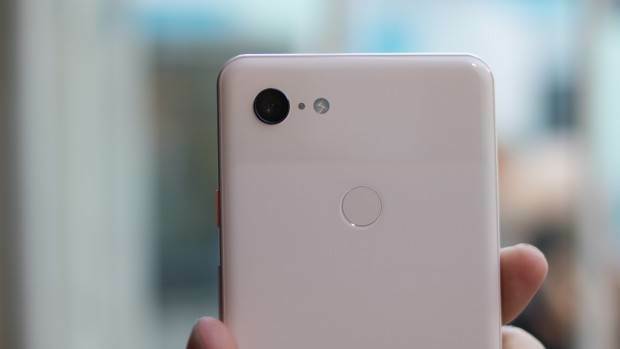 Much of the Pixel 3's camera technology uses this at the moment, with features like Top Shot and Photobooth using algorithms to recognise features that make optimal pictures, like smiles on visible faces. Other aspects of the device use machine learning as well, like Google Duplex which answers calls for you. In addition the Pixel Stand, an optional charging stand for the device, turns to device into a Home-style device, with Google Assistant providing weather and traffic information, and automatically powering down at night. It's impossible to decide on which of these devices has better features as it really depends on what you're specifically looking for in a phone. The iPhone Xs creates a more social experience, with Group Facetime and joint AR fun, but the Pixel 3 makes for a quicker, more streamlined personal experience with the everyday stresses of using a phone thanks to its machine learning. The iPhone Xs has an admirable camera. Its rear camera has dual 12-megapixel wide angle and telephoto lenses, with a quad-LED True Tone flash. On front is a 7-megapixel snapper for selfies along with an IR array for its Face ID feature. On top of that, the iPhone Xs has many features which make it great for the budding or accomplished photographer. The phone's “Smart HDR” reduces shutter lag to zero, improved camera sensors increase the colour accuracy, and Depth Control features let you change the depth of field after the picture has been taken. In addition “advanced bokeh” lets you add artistic blur to your pictures. This would all be great if Google's Pixel 2 didn't do it already. Now, with the Pixel 3, Google has gone to huge lengths to outplay Apple with the Pixel 3's camera. Not only does it have a 12.2-megapixel rear camera, but the front camera has 8 megapixels, with a second wide-angle lens to improve coverage 184 percent over of the space of a normal selfie camera. Google's use of AI and machine learning is also a major draw in the camera department, as shown by the ludicrous number of features the camera has. These include Top Shot, which takes multiple pictures even before you've pressed the shutter button and recommends the best ones to you; Night Sight which automatically makes low-light pictures appear brighter, crisper and sharper than any other low-light camera on the market , and Motion Auto Focus,which allows the camera to remain focused on an object or person even when it's in motion. This is all on top of Google's already impressive HDR+ technology to create super-vibrant photos with zero lag. Naturally, security is an important aspect of any mobile device, especially given recent security concerns with Google. The Pixel 3 is the company's chance to alleviate concerns over its security and use of customer data. Announced as part of the Pixel 3's hardware was the Titan Security chip, which stores all personal and security data on one dedicated chip in the device, meaning the data is out of Google's hands. Face ID is iPhone Xs' big sell, which uses the device's front cameras to verify the users. The data used to do so is stored in the Security Enclave of the phone's chip, meaning neither Apple nor the iOS system can access this information save to unlock the phone. In effect, both devices have the same security protocols. However Google isn't exactly the most trusted company with regards to security (see its massive data leak, concerns over its use of personal data, and the plethora of pre-announcement leaks the Pixel 3 had). While the Pixel 3 has a far better camera and cheaper price, it is a bit smaller, and may not have as much battery life. Saying that, the iPhone Xs has a price that is simply out of reach for most people and, compared to Google's offering, just not enough innovative features to justify it's hefty price tag. Of course, this discussion is all rather moot until we can really dig into the Pixel 3 once it's released in November.Perhaps its battery life is far better than Google predicted — or its camera technology far worse than it makes out. Comparing the devices may seem a redundant activity given that customers tend to be very loyal to their favoured brand, and therefore already know which device they'll buy. But with all the great features both phones bring, there's never been a better time see if the grass really is greener on the other side.